I looks more like a wall sconce than a chandelier from this angle. It looks awesome! Love it! Definitely a wonderfully Gothic room! I don't think there's anything wrong using a chandelier as a bedside light, Count Dracula certainly wouldn't sniff at it! Once the white cord is hidden it will look perfect! I think it looks good. As long as you camouflage the cord, it will look fantastic. I agree with Aji LaStrange that it looks a little odd. I'm all for symmetry... But I think that Insomniac's Attic's solution is a good idea, it might look more intentiaonal this way! Thank you all for your comments! I'm having an additional issue due to the bulbs. 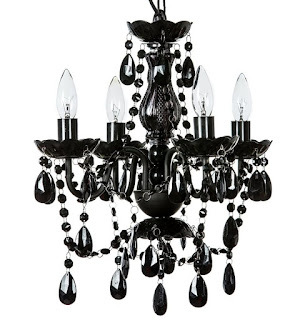 With no shades, the bare bulbs are too bright to have the chandelier at or below eye level. They're also "soft white" bulbs, which means their light is too yellow for my taste. I have ordered some frosted "daylight" bulbs. After they arrive, I'll make the final decision on where to place the chandelier. I think the chandelier looks fine next to the bed. It is a great spot for using the chandelier as a bedside light. 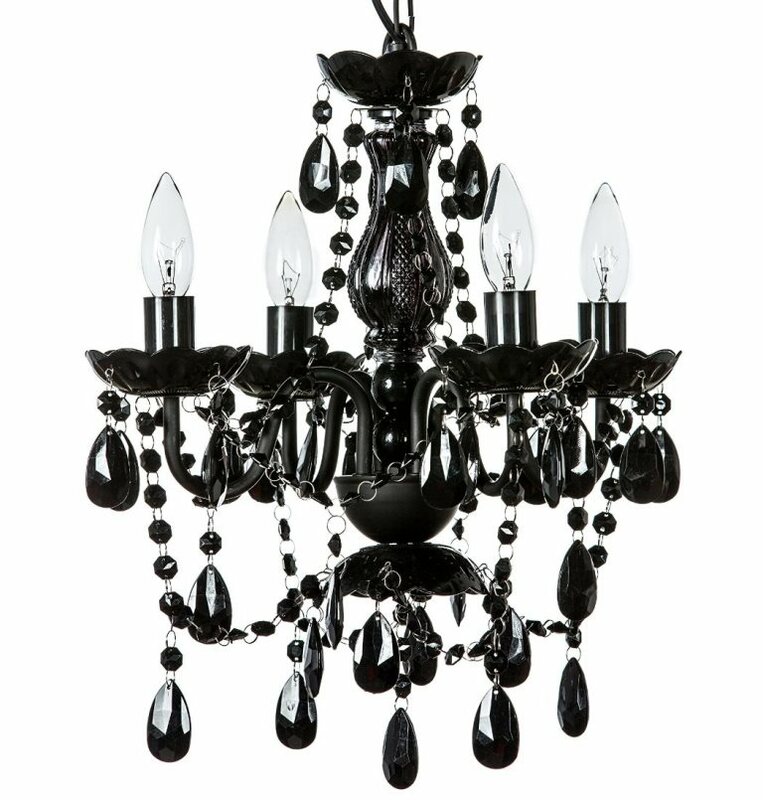 It provides enough light and fits right in with your gothic theme. The only thing I would do is hide the white cord or switch it out for a black one, but I know you mentioned hiding it if you leave the chandelier there.